This year Kokomo are getting back to their roots. Celebrating their 20th year together as a band, they have recorded a new album called It All Comes Round. 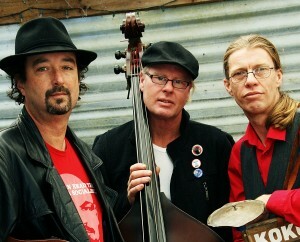 They are returning to the original Kokomo Blues line-up of the early nineties; an acoustic trio exploring early Delta blues and ragtime, with a scattering of contemporary Kiwi blues and oddities from through the years.